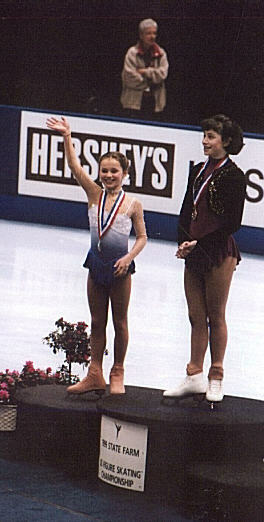 Hi and welcome to my new page about the 2000 US National Silver Medallist, Sasha Cohen. Feel free to look around! and please, Sign My Guestbook! If you want to just view it, click here. Sasha recently competed in the 2000 US Nationals in Cleveland, Ohio. In her first year as a Senior Lady, Sasha placed 2nd- 1st in the short and 2nd in the long. CONGRATULATIONS SASHA!